Hayes House Penthouse! Stunning western exposure for amazing sunsets and NY city views from your private 12th floor oversized balcony. 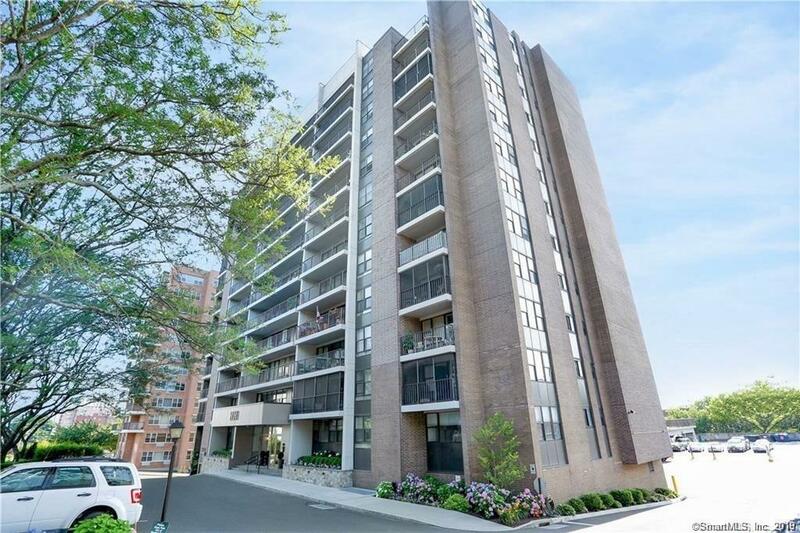 This renovated two bedroom two bath one level unit features; 10 foot ceilings, custom built-ins, hardwood floors and an open living/dining/kitchen concept. The renovated chef's kitchen features top grade appliances, wine chiller and is open to the living area, ideal for casual entertaining. Also with tall ceilings is the master suite with ample closets and renovated master bath. The generous sized second bedroom and renovated full bath complete this unit. One of Stamford's premiere buildings, Hayes House features a new fitness center (optional $12.00 per month), doorman+security, outdoor pavilion and recently renovated lobby and hallways. Walk to all downtown stamford has to offer. 1 covered space included in the rent additional space $65 per month, pets considered, and ample private storage space. HEAT, HOT WATER, TRASH, ALL INCLUDED IN THE RENT, NO HIDDEN FEES. Directions: Strawberry Hill Avenue #44, Park In Front. Selling Office: Keller Williams Prestige Prop.